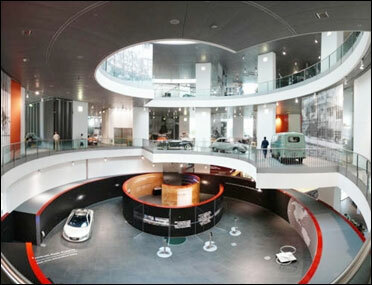 Audi's impressive museum at Ingolstadt, Germany houses 120 exhibits tracing over 100 years of automotive history. 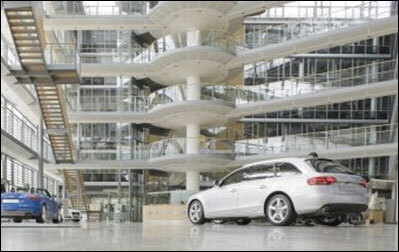 Audi manufactures a range of automobiles, from supermini to crossover SUVs. 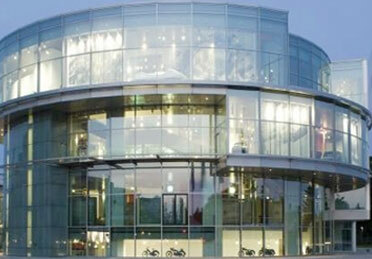 The heritage of the Audi brand is brought to life offering visitors an informative and entertaining journey across time at the Audi Forum Ingolstadt. The company name is based on the surname of the founder, August Horch. Horch means listen in German, when translated into Latin, becomes Audi. The museum starts off on the top level dating back to 1899. Visitors can see extremely valuable exhibits from the pre-war era. 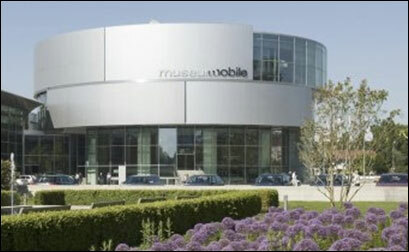 Image: Cars exhibited at the museum. The museum's unusual architecture follows the theme of a tree's annual rings behind its fully glazed facade. 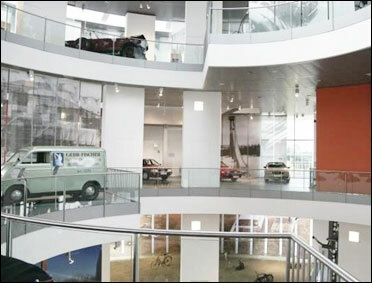 Image: Conference hall at the museum. In 1980, Audi released the Quattro, a four-wheel drive (4WD) turbocharged car that went on to win rallies and races worldwide. It is considered one of the most significant rally cars of all time. More than 450,000 visitors from all over the world visit the museum every year. 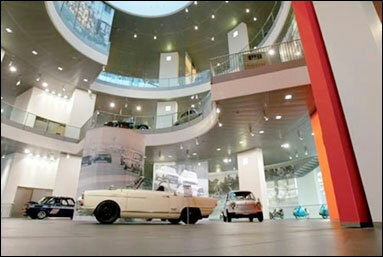 The museum is spread over 8 lakh square feet. The market and customer building looks transparent and futuristic. 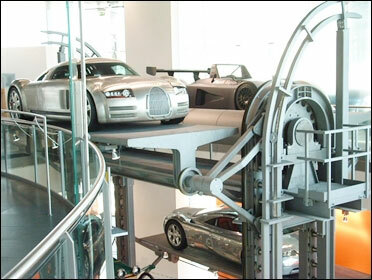 The museum focuses on the technological progress that took place in the car industry in the last century. 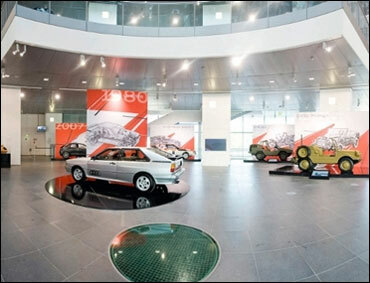 Image: Audi cars on display. The museum shop is a treasure-trove for collectors, where all sorts of decade-old paraphernalia from actual cars can be owned. The museum shop also stocks a wide range of products, including high-quality technical literature, DVDs, stylish lifestyle articles, numerous miniatures for car enthusiasts. The first Audi automobile, the Audi Type was produced in 1910 in Zwickau. 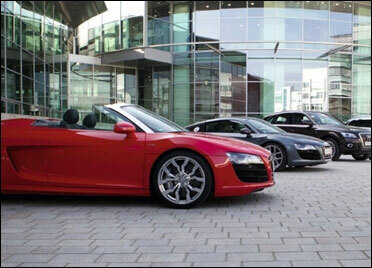 Audi has 6 manufacturing plants around the world: Ingolstadt and in Germany, Gyor in Hungary, Changchun in China, Brussels in Belgium and Aurangabad, India. The museum has state-of-the-art presentation techniques using pictures and multimedia elements. 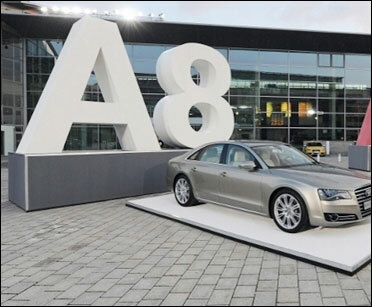 Image: Audi car on display. 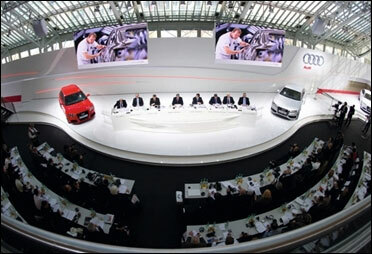 The Audi emblem of four overlapping rings that represent the four marques of Auto Union. The Audi emblem symbolises the merger of Audi with DKW, Horch and Wanderer: the first ring from the left represents Audi, the second represents DKW, third is Horch, and the fourth Wanderer. The logo was designed by Rayan Abdullah. 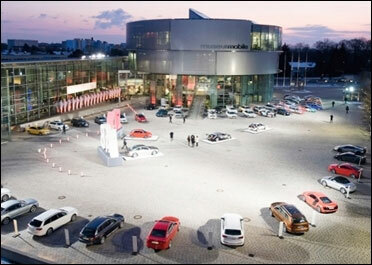 Image: Audi cars outside the museum. 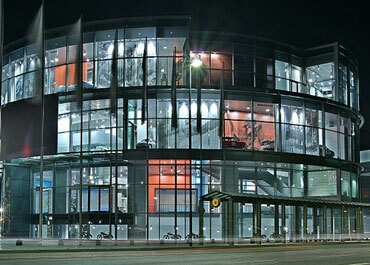 With its restaurants, concerts, cinema and customer service centre, the Audi Forum is an attractive place for visitors. The wide range of services, discovery tours and cultural events make the museum a lively and must-visit destination. PHOTOS: The art of the automobile!